I had written about my experience about some natural products from Beaute Naturelle where you can purchase some exciting natural brands products; I’m very happy that my readers liked that post very much and requested me to write some more reviews of that website’s products. Today I’m going to introduce you to a very useful product of Auravedic which is available there. 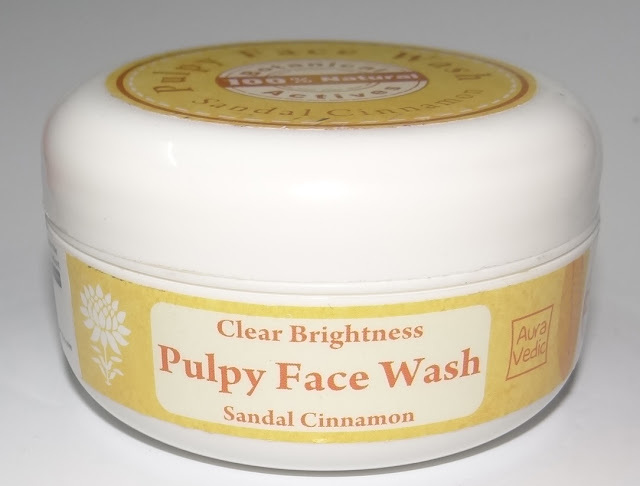 Pulpy Face Wash in Sandal Cinnamon is a thick gel based face wash which is quite different from other face washes available in the market. This perfect brightening face wash is formulated with pure sandal,to help you lighten the skin and give it an even skin tone.Leaves the skin clearer,brighter and radiant. The product claims to contain high concentrate of natural ingredients. Scoop onto fingertips and gently massage over skin before rinsing it off. Spring is on its peak here but in most of the cities, summer has started now, in this weather, the most important thing which everyone shouldn’t forget in one’s daily skin care routine to wash your face two or three times in a day, sometimes with a good face wash and sometimes with fresh clean water so a good face wash should be a must among your skincare products. Pulpy Face wash comes in an open mouth round white jar with the same color lid. 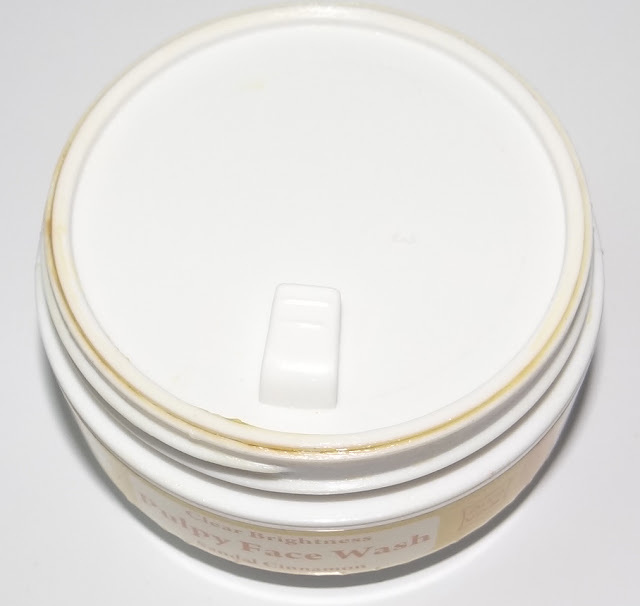 After opening the cap, a plastic covering is present to keep the face wash secure. The packaging is not quite unattractive but should be made more beautiful. Usually, I don't prefer a jar packaging for a face wash because it doesn't prove perfect from hygienic purpose.So a tube packaging is always suitable. 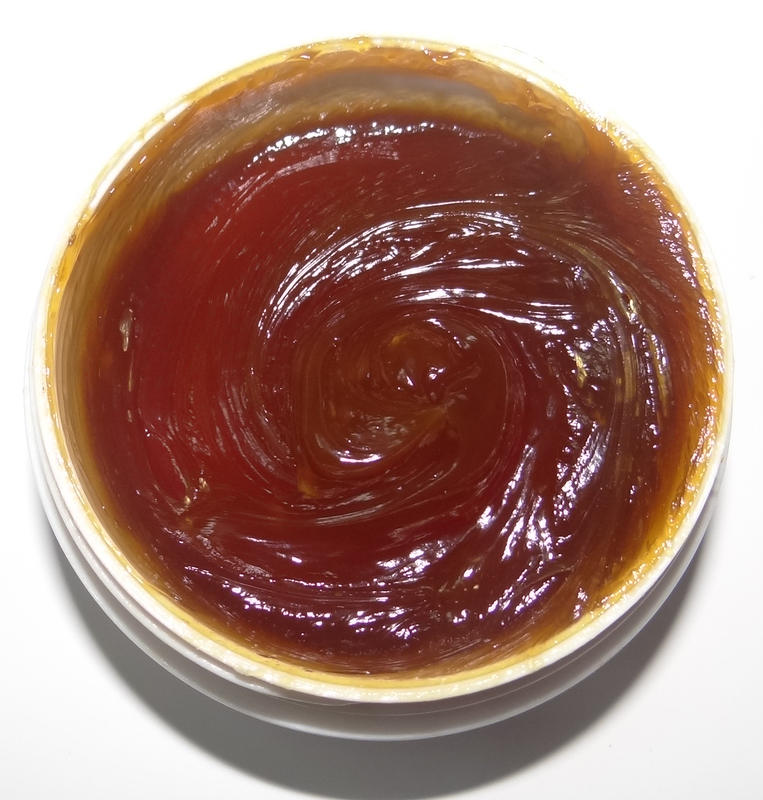 It has a gel based thick texture and feels quite mild while applying on the face. I had expected the lovely smell of sandal but the smell which it has, is quite different and quite similar to some soap that I'm not able to describe properly but overall I don't like this smell. Though it's a bit thick but I mix with some water in my palm, rubbing it, and then apply on my face and neck. It's a nice way to apply. I give a gentle massage to my face and then wash my face with clean and fresh water. It contains high concentrate of sandal,cinnamon and other ingredients so it should be good to keep out of the eyes. I love its effect on my face, It cleans my face very well. I feel my skin fresh and clean but it doesn't make my skin dry like other face wash. After washing my face, I always apply my regular moisturizer on my damp skin but if I become late in applying, I never feel my face dry and tight. So the effect is great. The most important thing is that it's made with 100% natural ingredients so using this face wash is very safe to my skin. It's claim to be 100% natural. It's free of Parabens, SLS, Harmful Chemicals & Colors. The texture is gel based but quite thick so a little quantity is sufficient for using. It's makes my skin clear, clean and fresh. Never makes it dry and tight. The jar packaging is not hygienic so one should be careful while using the product that the fingers should be clean. Overall I'm happy with the quality of the product because it's a different face wash from other face wash. The effect which it gives to the skin after using it is quite impressive and satisfied. It's pure and natural, which I believe from my previous experience with this brand, so it's completely safe to use it. I think the cost should be kept a bit less. 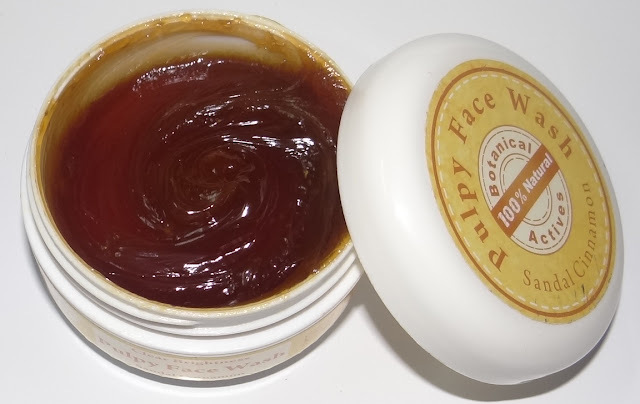 I'll recommend this face wash to my readers and friends for trying once, because it's an attempt to make something new so you can know about it just after using it. If you want a face wash which never makes your skin dry and tight, you should try it. You can find Pulpy Face Wash Sandal Cinnamon face wash from Beaute Naturelle very easily.